To turn your corporate challenges… into ACHIEVEMENTS. Your employees’ thinking… into RESULTS. 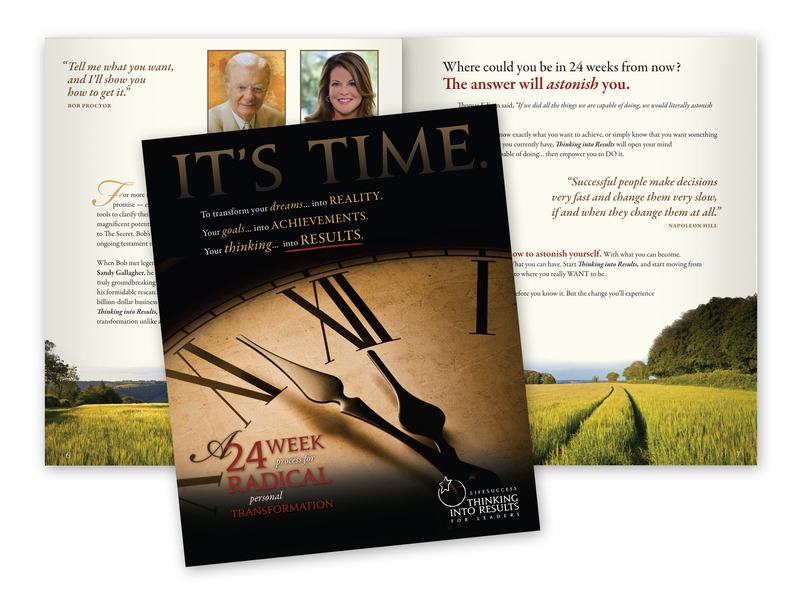 This exceptionally designed program is presented in 12 relevant. simple and practical lessons, to ensure that the success mindset becomes a part of each individual’s thinking, and actions, translating into a team operating together at a higher level of awareness. This results in exceptional returns on investment for your organization. 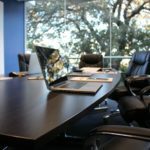 Overall Benefits: Thinking Into Results creates a corporate culture that promotes employee growth in a positive environment where they feel supported and also feel like they are a major contributor to the organisation—no matter what position they hold. It allows your organization to create desired results without competing against others in your industry. Team members often can experience a conflict between personal goals and corporate goals. Juggling between family responsibilities and business responsibilities can be harmonized together. What do your team members really want? When you know the answer to this question, you can release them to harmonize between these two worlds. Strong families means strong teams in the corporation. You cannot impose a corporate goal that conflicts with your team members’ personal goals. Congruency brings quality. Just trying to change habits doesn’t work. We use an impeccably effective 24-week program called Thinking Into Results to get your teams in the right vibration, on the right frequency. This information has been the catalyst for companies to raise their revenue by hundreds of millions of dollars, for individuals to realise their passions and families to build better relationships. Companies that have benefitted from this information include: Prudential, IBM, Microsoft, Marriott Hotels, RE/MAX, Mercedes Benz, General Electric, Merrill Lynch, Pepsi, Shell Oil, Malaysia Airlines, Visa, American Express, General Motors, AT&T, Hyundai, Kodak, Avis, Jeep, Phillips, Chevron, Holiday Inn, Salvation Army, Anheuser Busch, and many, many more. Advancing corporations, top executives, thriving business owners, successful athletes, constantly hire Mindset, Performance, Results, Business, and Success Coaches and mentors. Athletes work on their body, their performance, and their mindset with daily discipline. Shouldn’t business-minded people do the same? But most people do not wake up in the morning thinking, “I’m going to find a coach, today.” You probably do not need another program. You need transformation for you team and yourself because if nothing changes then, nothing changes. Experience has shown that real success comes from drawing the unique desires and interests, skills, and talents out of each person by developing the mental faculties. If you don’t know what your mental faculties are, then you need to go through this process of success. So we concentrate on teaching our clients how the mind really works, and how to expand and develop it to create extraordinary living for themselves and others. If you want to learn the most effective way of creating wealth and having more money and time freedom then you need to speak to us today. There is a science to getting anything you want, but you must be aware of it, and then learn to apply it in-order to really live the good life! Benefits: Explains how to set and achieve goals that promote quantum leaps. Teaches the process of setting and achieving team goals. Employees set goals that inspire them, which helps to move them forward. Employees are motivated and see themselves as a part of something bigger. Benefits: Most training gives employees information on how to do their job, but it seldom results in better results because their paradigm keeps them from acting on what they know. Thinking Into Results helps employees implement what they already know and changes their behavior to close the gap between what they know and what they actually do. Benefits: Employees will turn their non-productive habits into productive habits, and become more efficient and productive in their job, which leads to an increase in the bottom line for the company, as well as a reduction in turnover and an increase in retention and performance. 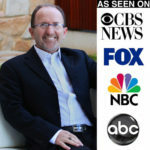 John has literally spent tens of thousands of dollars working with some of the most brilliant millionaire minds in the self-development industry. 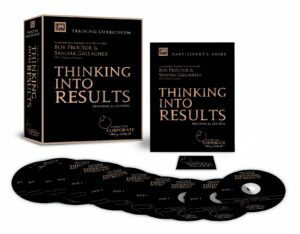 This program works because Thinking Into Results® is not just more information, TIR is transformation. You will see the difference in your own life and in the life of your staff members. Thinking Into Results® creates a corporate culture that promotes employee growth in a positive environment where they feel supported and like they are a major contributor to the organization—no matter what position they hold. It allows your organization to create desired results without competing against others in your industry. Click here to request a 45-minute paid-for-you consultation. Benefits: Teaches how the mind works. Employees take a close look at their daily habitual action to see where they can become more productive. As a result, team performance is improved through increased productivity of each individual. Employees and teams can break from past results and habitual behaviors. Productivity and efficiency increase as employees and teams work better together. Benefits: Teaches people how to think and how to analyze their thinking. Helps them realize past results are a reflection of past thinking and to change what they are getting they have to change their thinking. Helps teams to develop creative, innovative solutions to problems. Employees see problems as opportunities to strengthen the team, the company, and create desired results, which can be measured in the increase of success. Benefits: Employees will understand that to be more productive they have to change their image of themselves. Teams become more productive as they improve their team image. Teams focus less on what the competition is doing and more on what they are capable of achieving as a team. Competition within the team is transformed to cooperation and working in harmony. Benefits: Creates an open environment for people to talk about fears so they can replace them with positive thoughts and get support from other team members. As employees overcome personal fears they can create effective teams, and they can help other members of the team overcome their fears so that all team members are more productive and forward thinking, and better able to think of creative solutions to problems. Benefits: Employees can see the connection between their beliefs and behavior. When they change from non-productive to productive actions, their results can then match the company mission and goals. Employees are responsible for helping create a vision of a perfectly functioning team that is reaching its potential. They create the results they are capable of creating together. Benefits: Gives a very complete definition of attitude. Other programs may talk about the importance of having a good attitude, but this lesson explains what it is and how to change it. The result is focused teams that have their thoughts, beliefs, and actions aligned so that they are more productive and efficient. They learn the way to create a positive attitude regardless of the situation. Benefits: Helps employees develop qualities of leadership in addition to being able to also be a good follower. Emphasizes the creation of a positive environment where employees are appreciated for the work they do. Creates cooperation among team members and a positive work environment. Allows team members to emerge in leadership roles, which strengthens the team overall. Benefits: Emphasizes giving with no expectation of return., service to others. Promotes a high standard of performance for all levels in the company—leaders and employees are encouraged to do more and give more than expected. As a result of this lesson, teams will look for ways to make customers and other team members feel valued and appreciated. Benefits: Other programs show how to make incremental changes. This program lays out the steps for a quantum leap, leading to dramatic results in performance. Employees are shown ways to sustain success so they keep getting better and better at what they are doing. Magnifying the Mind results in employees and teams that are focused and empowered with unprecedented increases in performance you will be able to measure. Click her to request a 45-minute paid-for-you consultation.